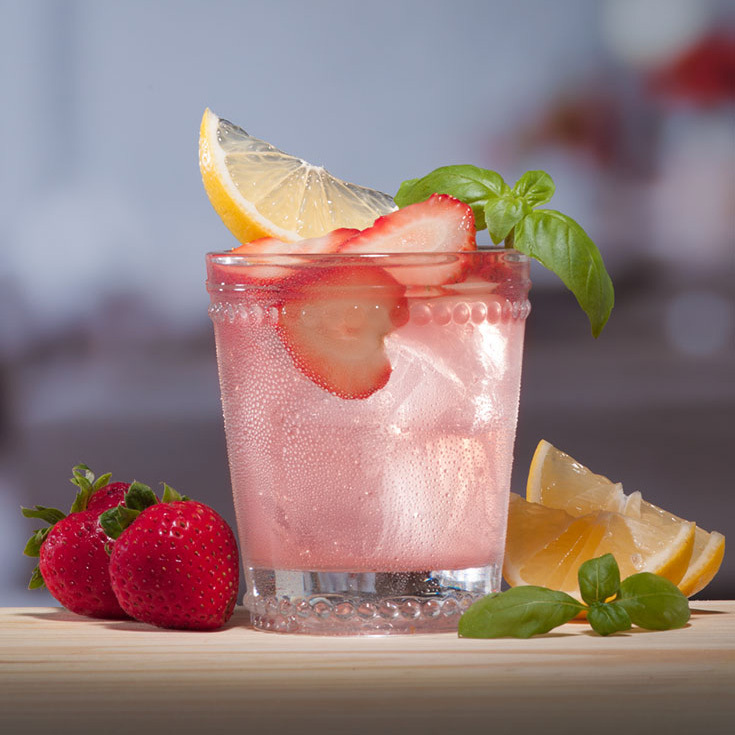 Add Sauza, pink lemonade and torn basil leaves to an ice-filled shaker. Shake and strain over ice into glass. Garnish with sliced strawberries.